Just yesterday, a headline in the Miami Herald read, “As protests and deaths escalate in Haiti, mayors cancel pre-Carnival parties”. Eight years ago, a headline in the New York Times read, “A Quake-Scarred Nation Tries a Rural Road to Recovery”. 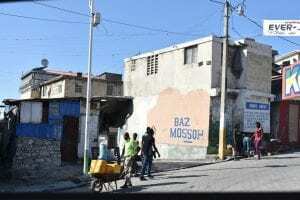 Almost a decade has passed since a devastating earthquake hit Haiti, yet the headlines the American media prints regarding the country remain the same, and so does the world’s perception of Haiti. Before traveling to Haiti this past January with the Cornell University Wind Symphony, I knew nothing of the lush, green mountains that stretch from the sea to the countryside, or the small oceanside villages that echo of vibrancy and laughter. I knew only what western media showed me, which is not the Haiti I experienced. For a little over a week, Haiti was home to myself and about 50 other members of the Cornell University Wind Symphony. In the continuation of a longstanding collaboration, we traveled to Haiti to partner with the Holy Trinity School of Music (HTSM), which is based in the country’s capital city, Port-au-Prince. Our ensemble’s collaboration with HTSM uses music as a tool for cultural exchange and collaboration with a peer institution. With this partnership, the ensemble strives to move beyond common misconceptions between our two countries and establish a genuine relationship through music. Stemming from our collaboration with HTSM, we also performed four other concerts in Port-au-Prince, Jacmel, and at St. Etienne Episcopal church, located in the mountains between the two locations. Traveling through the Haitian countryside opened my eyes beyond the scenes of Haiti I saw on the nightly news. In Port-au-Prince, I saw young children learning drumming techniques in their school courtyard. 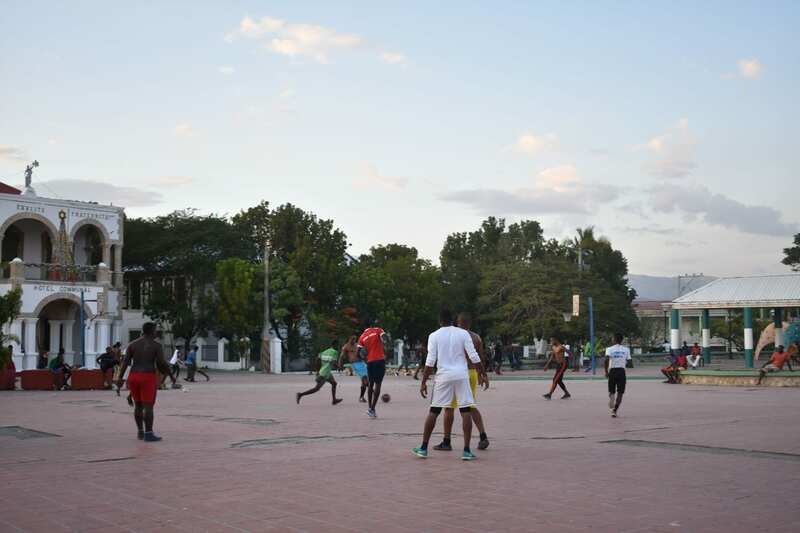 In Jacmel, I saw locals playing a pick-up soccer game in the town square. At the St. Etienne church, I saw the calming and undisturbed rhythm of daily life in the Haitian mountains. Most remarkably, as I spent time with the music students from HTSM, I realized that my reason for playing music was the same as theirs: we love it. However positive our partnership with HTSM was, the presence of Americans in Haiti is historically complex. The United States did not recognize Haiti’s sovereignty until 1862, 58 years after they won their independence, all being due to fear that a nation led by former slaves might inspire insurrection among the enslaved in the United States at the time. These initial relations have led to years of interventionist policies, regime overthrow and misplaced humanitarian aid between Haiti and the United States; from the American invasion of Haiti in the early twentieth century to the United States leadership of the relief efforts following the 2010 earthquake. The question then remains, how can we as visitors show willingness to help without history overshadowing our actions? After the wind symphony’s concert at the University of the Aristide Foundation, Mildred Trouillot-Aristide, wife of Former President Aristide, stressed the importance of collaboration and teaching with respect to aid organizations in Haiti. She described a pattern of aid distribution that has emerged between Haiti and other western countries: Meaningful aid will come to Haiti without notifying any Haitian institutions that work in that sector. 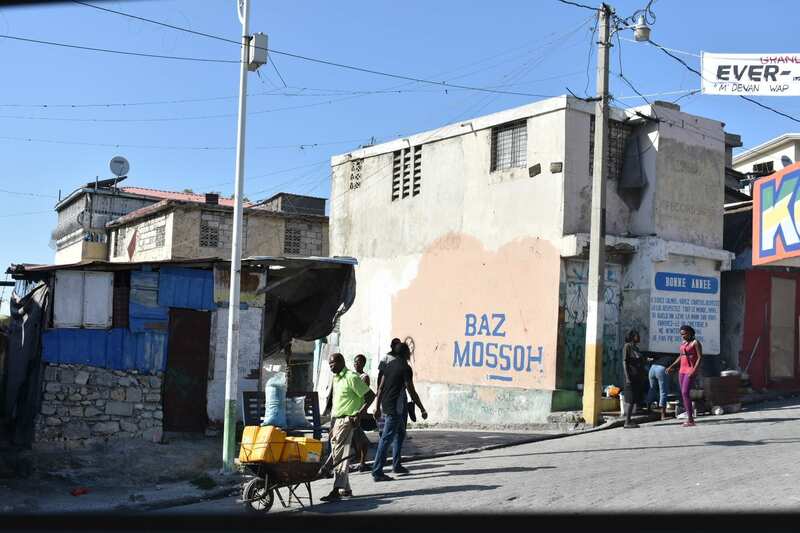 The aid organization or individuals will work for a short period of time, and then leave, without sharing or embedding any of their knowledge with the Haitian people. This interventionist aid without collaboration creates an unsustainable dependency that may be beneficial to a few in the short-term, but will not provide Haiti with sustainable solutions that can provide meaningful change to the country. 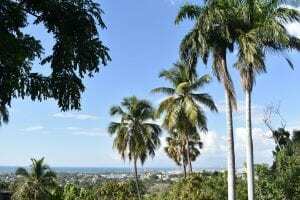 Whether it’s Haiti that I return to, or another area of the world, there are many lessons that I will take with me from the winding roads of Haiti. A sign posted on The University of the Aristide Foundation reads (when translated), “if we do not save ourselves, our dignity will save us”. Respecting a place’s dignity means giving aid within a collaborative structure aimed at sustainable solutions. It also entails changing narratives. While there are areas of Haiti that are struggling, there are also vast amounts of hope and progress all around the country. I hope to be a part of that progress, not a barrier to a solution.